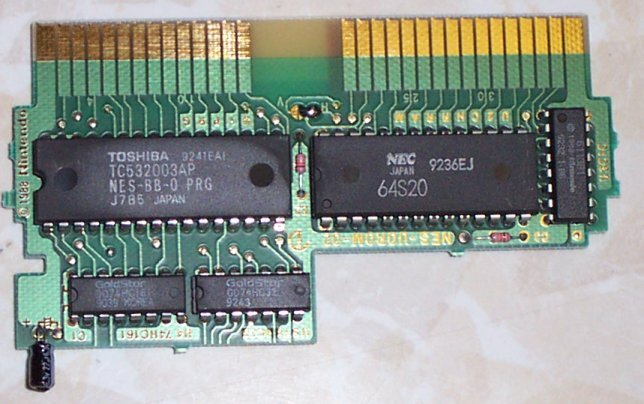 Max 256K of PRG ROM, a 74161, 7432, and an 8K VRAM. The LS161 acts as a latch. It latches D0, D1, D2, and D3. Writing anywhere in the 8000h- FFFFh range will set this latch using the above data lines.